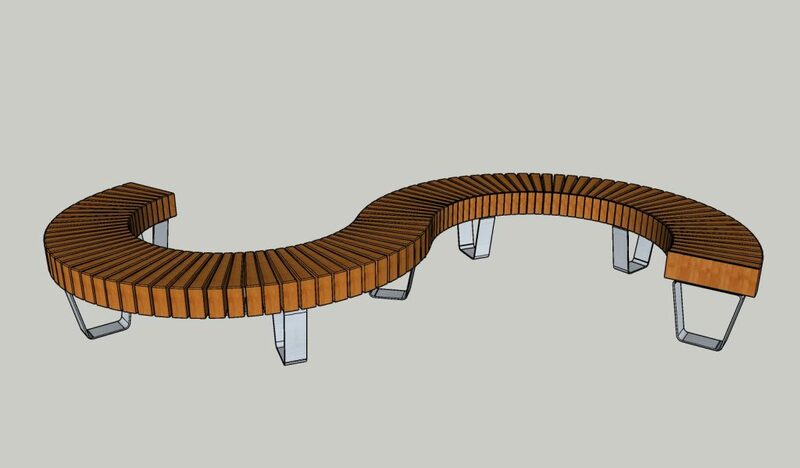 Europlanters are proud to have been asked to manufacture the large “S” shaped bench made from Iroko timber and steel legs, that sits within the Laced with Hope artisan garden designed by Laura Anstiss, for the Chelsea Flower Show. Laced with Hope tells the story of a child’s journey following a diagnosis of cancer, and the work the charity Supershoes does to empower that child in their fight. 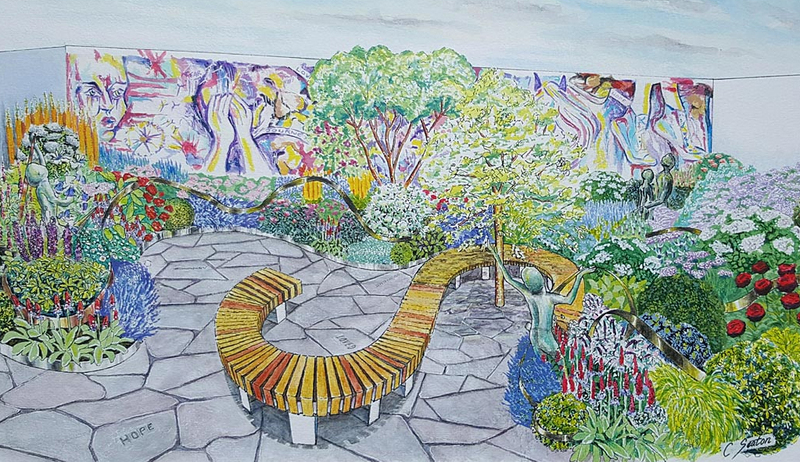 The use of art to frame the garden represents the way the charity uses art on shoes to inspire sick children. Sculptures represent children and their families. The lace sculpture extends up, over and through the plants, binding all elements together, and the bench provides a place for friends and support staff to sit and reflect. The colour gold represents childhood cancer and is used in the lace sculpture, while other bright colours and large flowers in the planting, including mixed perennials and roses, provide a psychological boost in stressful times. The inlaid paving is inscribed with words defining a new language for families fighting cancer, and reflecting the mixture of emotions and challenges with the unfamiliar and frightening. 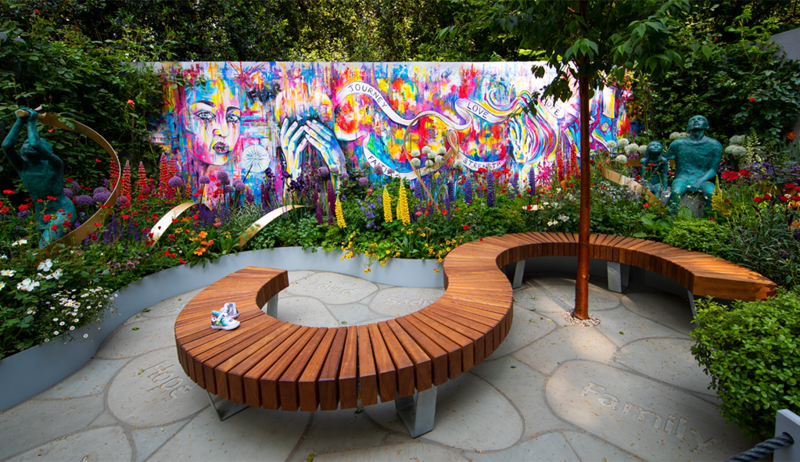 The Laced with Hope garden was built by 2016 Chelsea gold medal winner Frosts Landscape Construction whose Managing Director, Ken White, is also a Trustee for the Supershoes Charity. The garden is sponsored by Frosts Garden Centres. 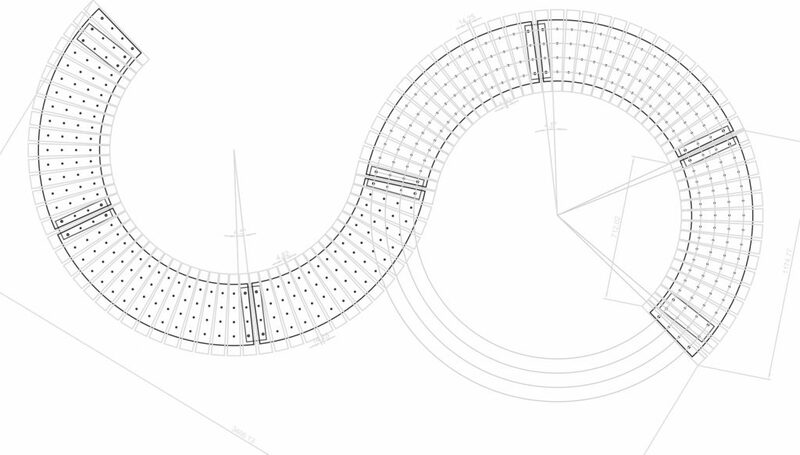 Europlanters supplied the bench in six sections, which when assembled the “S” shape is approximately 3.6 meters long. The seat itself is 400mm wide by 450mm high, with an external radius of 1 meter and was crafted using 96 blocks of Iroko timber and seven steel legs. “It was an honour to have been involved in this project”, said John Wilkes of Europlanters “I’m looking forward to seeing the show garden later this month“.